Well, it's the new year. The holidays have just passed, and families all across the world are playing with new toys, and starting to put their newly-gifted presents to use. But, sadly, it's not all of them. Across the world, there are approximately 300,000 children diagnosed with cancer each year. That's about half the population of Vermont. Each one of these kids has likely spent their holiday in the hospital. And, as if that's not enough, one hospital stay for just one of these 300,000 kids can cost around $400,000, according to the Healthcare Cost and Utilization Project. For every kid who has cancer just to stay at a hospital, it costs the world approximately 120 billion dollars. And that's not even counting the hundreds of treatments these kids need, just to stay alive. So while you were playing with your brand-new Christmas present, many, many, families were struggling just to have enough money for groceries. But, fortunately for them, The Four Diamonds exists. The Four Diamonds is one of many non-profit organizations that helps families pay for cancer treatments. With their help, families never lay eyes on a bill, and can focus on what matters most. Their child. "This is great, but where does the money come from?" I hear you ask. Well, from the name of this website, you've probably figured it out already. These charities need people like you to help support kids with life-threatening trouble, and we're hoping you decide to. Every year, our school hosts a Mini-THON. Hence the name, it's a smaller version of Penn State's THON event. Basically, we raise as much money for The Four Diamonds as we can, and then reveal the total at a seven hour long event. In the past two years, our team has raised $885 on this website alone. That's incredible. And this year - with your help - we can top it. But why should you donate to this? Well, by giving even one dollar, you're helping The Four Diamonds put money towards paying medical bills for families going through cancer, and funding research and lab work to find a cure once and for all. But, in addition to all of that, you're contributing to our team's Donner Rewards. Here's how it works. When we raise $100, our entire team will do an ice bucket challenge. When we get to $250, we'll all do a spicy food eating contest. But, here's where it gets good. If we get to $500, our team will make a song, and put it on iTunes, Spotify, Pandora, and all over the internet. And if we get to $750, we'll all make a music video for our song. 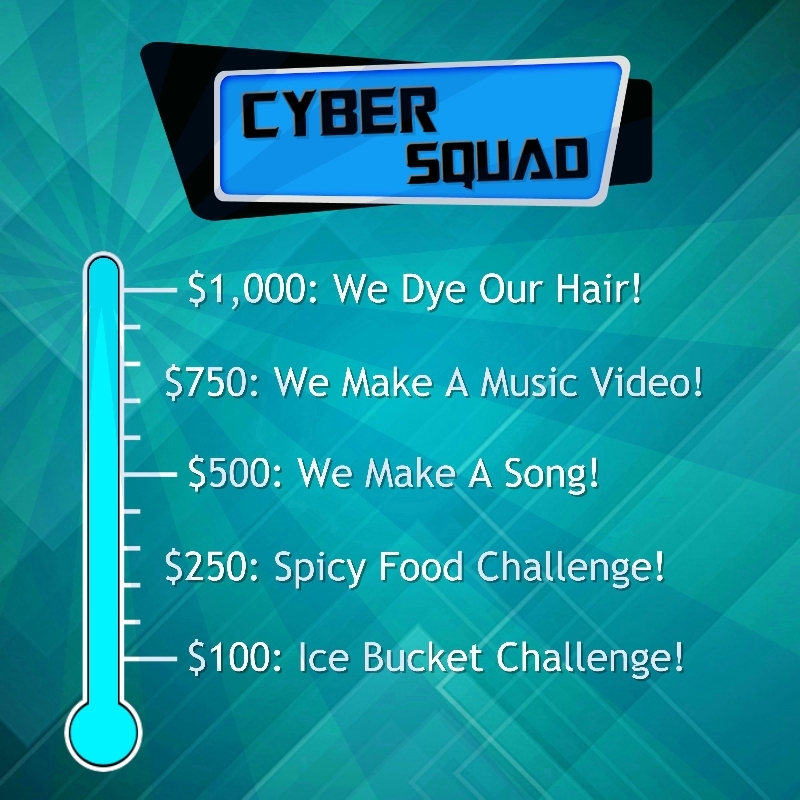 And, at last, if our team reaches our ultimate goal of $1,000, (most of us) will dye our hair pink. With permanent dye. So what are you waiting for? Click on any of the "Donate" or "Support Me" buttons on this page. Any amount helps, and it's all for a great cause. You're helping to save lives, and getting some pretty embarrassing videos to show at the next family gathering. So, we hope to see your name on our donor list! 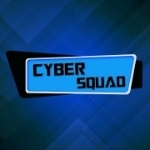 And from all of us at the Cyber Squad, thank you. Nicy Rizzo, Zane Anthony, David D'Alessio, Luke Semke, Josh Hoffner, Mikey Hein, Spencer Sieber, Brant Bangs, and Joe Ryan.